Chaludiya & Co. leading law firm rendering comprehensive professional services which include tax solution, revenue work, financial services etc. We are a team of advocates, tax consultants, financial advisers offering Business Taxation Services to the manufacturers, Traders, Dealers and service providers of the industry. Our services are sought for various commercial, legal and taxation complications. Our mission is to provide exceptional tax solution, revenue work and Financial services to our clients. We appreciate there are lots of companies to choose from and it can be daunting making the right decision for your business. Here at Evergreen we think we are the best at what we do and we are proud to measure our success on the great feedback and testimonials we get from our customers. All businesses operating in India are required to file income tax return each year. In addition to filing income tax return, a business may also be required to file TDS return and pay advance tax to stay compliant under the Income Tax Act. Chaludiya & Co. is India’s largest tax services platform offering a range of services like incorporation, GST return filing, income tax filing and more. Chaludiya & Co. can help file income tax return for your business and ensure it remains compliant under the Income Tax Act and Rules. The average time taken to file an income tax return for your business is 3 to 5 working days. Get a free consultation on business tax return filing by scheduling an appointment with an Chaludiya & Co. Advisor. As per the GST Council, entities in special category states with an annual turnover of Rs.10 lakhs and above would be required to register under GST. All other entities in rest of India would be required to register for GST if annual turnover exceeds Rs.20 lakhs. There are also various other criteria’s, that could make an entity liable for obtaining GST registration – irrespective of annual sales turnover. Entities required to register for GST as per regulations must file for GST application within 30 days from the date on which the entity became liable for registration under GST. Chaludiya & Co. is the leading business services platform in India, offering a variety of services like income tax filing, GST return filing, private limited company registration, trademark filing and more. Chaludiya & Co. can help you obtain GST registration in India and maintain GST compliance through a proprietary GST accounting software. The average time taken to obtain GST Certificate is about 5 – 10 working days, subject to government processing time and client document submission. Get a free consultation on GST and GST return filing by scheduling an appointment with an Chaludiya & Co. Advisor. A GST Return is a document that is required to be filed as per the law with the tax authorities. Under the GST law, a taxpayer has to submit three returns on a monthly basis and one such return annually. All returns have to be filed online. Please note that there is no provision for revising the returns. All invoices of the previous tax period that went unreported must be included in the current month. Contains details of the outward supplies; has to be filed by 10th of every month. This is the monthly return and is due by the 20th of every month. In addition to the monthly and quarterly returns, there is an annual return that needs to be filed by December 31. A requisite GST reconciliation statement has to be duly filed by the appointed chartered accountant. 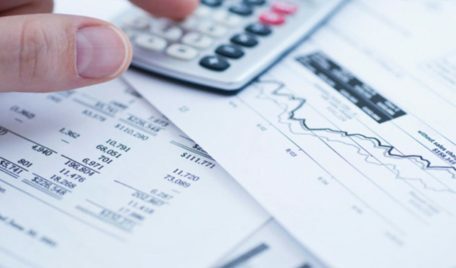 Bookkeeping services are a must for all businesses to ensure timely and accurate operational / financial information is provided to the Management, Regulators and Investors. Also, it is a legal requirement for any business to maintain proper book of accounts to ensure that all relevant taxes are paid and tax filings are made on time. Hence, bookkeeping is an important function in any business or not-for-profit organization in India. Bookkeeping is the process of recording financial transactions of a business in an accounting system and the creation of reports consolidating the accounting data entered into the system. Bookkeeping is a function of the accounting department in a business. However, many small businesses do not have fully fledged accounting departments and require external bookkeeping services. Chaludiya & Co. can help your business maintain its books through a network of Chartered Accountants and Business Experts across India. Talk to an Chaludiya & Co. Advisor to get quotes for bookkeeping services for your business today. The Permanent Account Number (PAN) card, issued by the Income tax Department, is one of the most important documents nowadays. The card was issued in order to prevent tax evasion by individuals and entities as it links all financial transactions made by a particular individual or entity. The private limited company registration process is completely online, so you don’t even need to leave your home to get your entity registered within 14 working days. At Vakilsearch, we are continuously available to help you understand how to register a private limited company. Company Registration in India can be done through VakilSearch in all major cities, including Hyderabad, Mumbai, and New Delhi, Chennai, Kolkata & all other Indian cities. A detailed explanation of the procedure now follows, along with expected timelines and charges involved. We’ve also answered FAQs and suggested best practices for your application; however, if you still have questions, feel free to contact us at [email protected] and we’ll get back to you as soon as we can. Only a single director needs to have a Class-2 Digital Signature Certificate (DSC), which is needed to sign electronic documents. To get one, all you need is a self-attested copy of the director’s PAN card and address proof (latest utility bill, passport, driver’s license of voter’s ID). This can be completed in 2 days. You need to now ensure that your name has not already been taken. This can be done by running a company name search. If you are disappointed that a preferred name is taken, do remember that the name of your company doesn’t have to be your brand name. However, if you’re going to register the brand name, also check if it has already been trademarked at http://www.ipindia.gov.in/. If it has been trademarked, you would need a no-objection certificate from its owner to have it approved as your company’s name. Secondly, you need to comply with the MCA guidelines. You can do so by ensuring that the name has a unique component and a descriptive component. 4) With these ready, you can submit the company registration form INC-32 (also known as Spice). Once your MoA and AoA are approved, you’re almost there. You can now get your company incorporation certificate by submitting all the above-mentioned documents to the RoC. This can take anywhere from 48 hours to even two weeks. On arrival of the company incorporation certificate, your company is registered. With E-Return filing becoming mandatory for Income Tax Assesses with an income of over Rs.5 lakhs per annum, the requirement and prevalence of Digital Signatures has increased manifold. IndiaFilings can help you obtain your Digital Signature hassle-free online. IndiaFilings is a Registered Partner of SIFY and E-Mudhra. With attractive Home Loan interest rates and a host of benefits to suit your Finances, Home Loans are designed to help you get your dream home without hassle. Get the benefits of an easy balance transfer, a high-value and top-up loan. Apply for a Home. Don’t let your valuable property sit idle. Let it work for you. Get a loan against your property and use it for any purpose you need: acquiring an asset, business needs, etc. Lower Processing Fees,Lowest Interest Rate.